Craig, they both sound like great reads. I look forward to reading them. Thanks, Michele. I hope they come out okay. So far they feel about right. 50K between the two is nothing to sneeze at for sure. Good luck. Not too bad. I’d like to get them both to novel length. Thanks. It probably is a little ambitious, but nothing ventured and all that. This sounds like a great idea. You’re obviously having a blast writing it. I’m having a great time. That might change as I hit the middle slog. It’s great to have such clear goals… even if they sometimes clash with one another! So far, it gives me a place to go when I hit a snag. I can switch to the other story. I love the idea of pulling multiple characters from different stories. And I’m glad you listened to Serang (Brian did the same thing to me). Some characters just have more to say. I think Brian is a good idea too. Not only do I love that you’re pulling characters from multiple stories to make a new work, I adore the characters you’ve included. Throw in a few root monsters, and I can’t find a flaw. You’re having a great year. And it’s only January! Keep it up. Hope to keep up the pace. No root monsters, sorry. They didn’t exist at the time of Serang’s origin. I think they could return one day though. 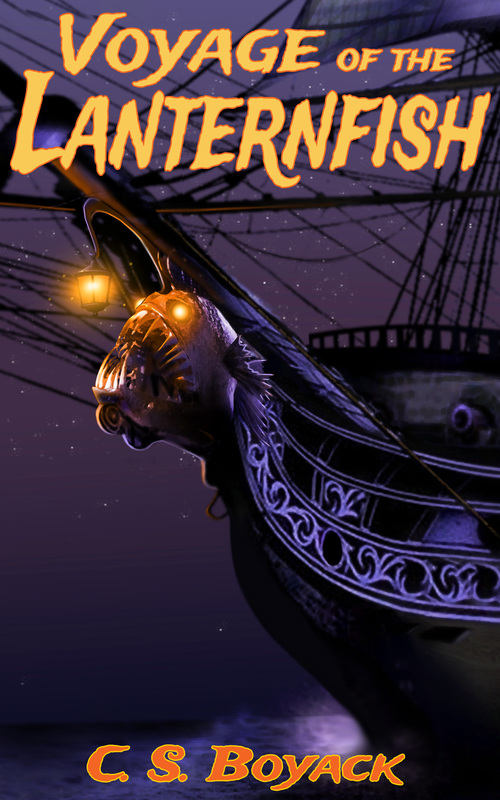 I just finished Lanternfish. I hope to get the review written and posted soon. I can’t say enough good things about it. You know the root monsters were my favorite, but I loved the whole thing from word one to the very end. Aww, thanks. I didn’t think the root monsters would be that big of a hit. If anything, I thought perhaps Mal would make the biggest splash. Just shows that we really never know for sure. Looking forward to your review. I need some. I do like Mal. And I grew to like him even more at the end when he (redacted to hide spoiler). But the root monsters have my heart. I I I I ! Sounds like a great weekend of work. 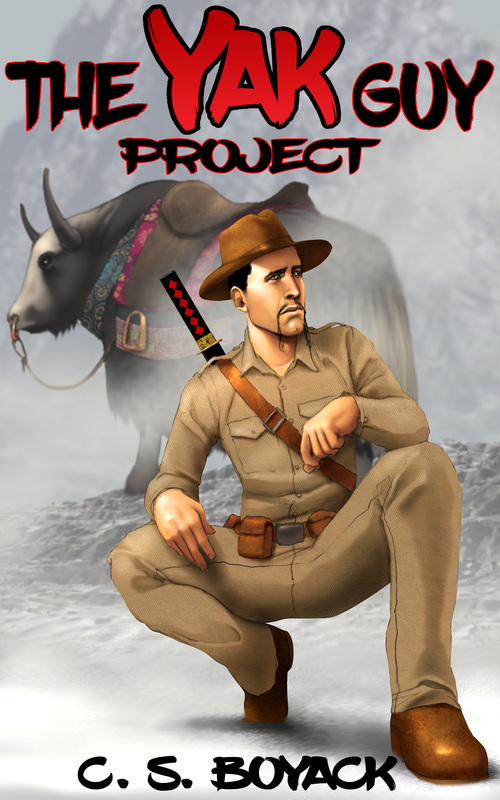 I agree Serang’s story needs to be told and I love the idea of combining past characters together. Good reminder to have some fun doing this writing thing. If it isn’t fun, why do it? I could make more money as a Walmart greeter, so fun carry’s the banner. I like to do new things, and I haven’t seen anyone team up characters like this before. Decided to give it a try. Thanks for the reblog. If anyone can do it, you can, Craig! They both sound like fun stories. I can see why you’re enjoying writing them. Also, I think your publication goals are realistic. Good luck in meeting those goals. Most importantly though, have fun writing the rest of the stories. They might be a little tight, but that’s what I’m shooting for. I intend to have a lot of fun. I love when sequels tie multiple stories together – it gives readers a chance to see their favorite characters again. And I’m so glad you’re having fun with this! I’m really envious too – I need to dive back into the writing world too. Good luck and keep writing! I’m excited about it. I hope I can bring them in as novel length projects. What a fun idea, Craig. I don’t think I’ve ever seen this done before. You are right… if we can’t make money writing, we can at least have fun! Fun is such an important part of this. I haven’t read Hat or Playground yet, but I’ve always thought Lisa had series potential. Fogg’s a character who could support a series as well, and people do seem to love their superheroes. Thanks, and it’s fun to put them all in the same adventure. Characters from those two books were some of my most popular. Not science fiction characters though, so I get it. The big crossover sounds like so much fun! I’m having a good time writing it, and that is usually a good sign. I’m in awe of your ability to work on more than one story at a time. Both of these sound fantastic, and I know they’ll benefit from your unique and clever perspective. I’ve enjoyed all these characters. Very cool idea brining them back! Hope it resonates with everyone. I’m trying to write it so that nothing is a prerequisite to enjoy it. Clovis! What a challenge, Craig – I’m in awe. But I also can’t wait to read it! I thought about you a few times when I wrote some of his part. He became pretty popular, and he fits the story pretty well. My process is a little different. I always start hot, then slow down at the middle slog. I like the research too, but it can take over if I’m not careful. Dang. You take the whole project thing to the next level, don’tcha? I’m glad you’re having fun! I also like the expression Weekend Warrior as it applies here. Doing what everyone else does doesn’t seem to get me anywhere. Might as well take things up a notch.